Start your new chapter at Park Place! Our luxury apartments for rent in Northville have everything you need! From spacious floor plans to high-end amenities that are sure to help you live in style and luxury! Click through our photo gallery and see why you should call Park Place your new home in Northville, Michigan! If you’re thinking about making the move to one of our Northville luxury apartments for rent, then feel free to contact us at (248) 636-1285 or stop by the leasing office with any questions you may have! 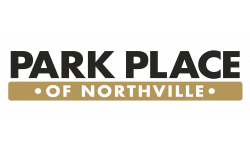 Your new home is waiting for you at Park Place at Northville!